On Saturday night 22 April 1916, a tense meeting in Dublin went on into the small hours to decide whether or not the Easter Rising would go ahead. Present at that meeting were Pádraig Pearse, Tomás MacDonagh, Joseph Plunkett and Seán MacDiarmada. The fifth man present at the all-night session, Diarmuid Lynch, was the only one still alive two weeks later. It is difficult to understand how Lynch, a member of the Supreme Council of the IRB, has been so completely forgotten. Lynch was at the heart of plans for the Rising and was aide-de-camp to James Connolly in the GPO. Initially sentenced to death, his sentence was commuted to ten years penal servitude because he was an American citizen. Released on 16 June 1917, he immediately became active again, and along with Michael Collins and Thomas Ashe, participated in the re-organisation of the IRB. He was arrested again in 1918 and deported to America. While in America he was elected as TD for the constituency of Cork South-East. In America he worked frenetically as the National Secretary of the FOIF (Friends of Irish Freedom) organisation, to raise money for the Irish republican cause. Later sharp differences between de Valera and the FOIF meant his vital role was ignored. Lynch did not take part in the Civil War, but made several unsuccessful attempts to stop it. Eileen McGough, originally from Killarney, worked as national-school teacher from 1964 to 2000. She is active in the local community of Tracton, near Kinsale, where Diarmuid Lynch was born and raised and has published two local history books. 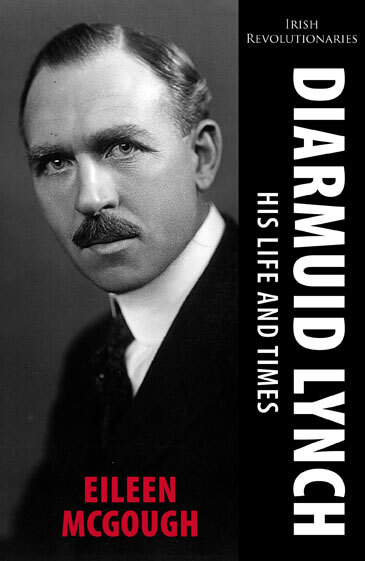 She has researched the life of Diarmuid Lynch through his own extensive writings as well as many other primary sources.